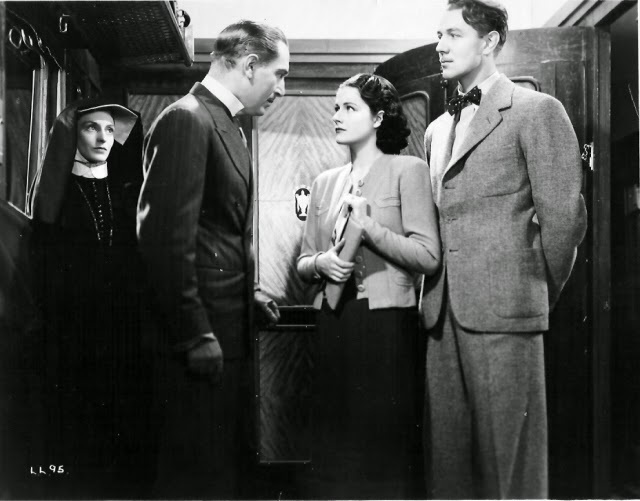 We are soon introduced to the main character, Miss Iris Henderson, played by the delectable Margaret Lockwood, who is returning to London to marry a “blue-blooded cheque chaser”. Following an impromptu avalanche which blocks the railway line, Iris is forced to stay the night in an overcrowded hotel along with a number of travellers who we soon become acquainted with. 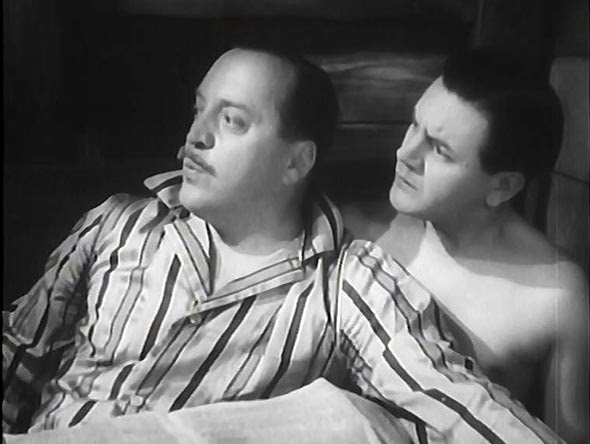 This includes the cricket-obsessed pairing of Charters and Coldicott, who provide much of the film’s comic moments; Miss Froy, a kindly old school governess; and aspiring musician Gilbert Redman, who upsets Iris by making a complete and utter racket in the room above hers. The next day, with the snow cleared from the tracks, the travellers are about to board a train bound for England. When Iris bears the brunt of a falling flowerpot on the platform, which was about to strike the elderly Miss Froy, the governess helps Iris board the train and the pair become good chums. 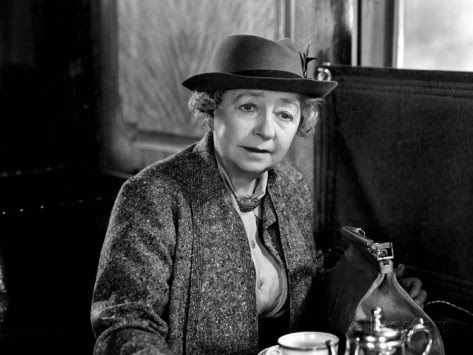 After taking tea together, the two ladies return to their compartment where Iris loses consciousness as a result of her earlier whack to the head. When she awakes from her sleeping slumber, Miss Froy has disappeared without a trace. The people sharing the train compartment deny ever having caught sight of the kindly Miss Froy and so the mystery begins. Taking the lead from Gilbert and making a racket herself, a doctor on the train soon comes to her aid, convinced that the bump Iris received may have caused her to dream up Miss Froy. Not satisfied with this explanation and keen to find Miss Froy, Iris is relieved when her foe, Gilbert comes to her aid and the two characters set out to solve the mystery of the vanishing lady. While the director, writers and supporting cast all deserve the plaudits, the film very much belongs to its leading lady, Margaret Lockwood. Playing the feisty heroine Iris Henderson, Lockwood somehow manages to be beautiful, spirited, yet vulnerable all at the same time. What a woman! 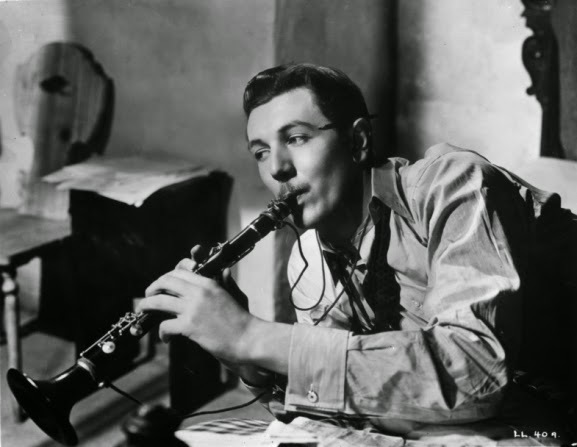 One cannot help but enjoy watching how she clashes with Gilbert, played by Michael Redgrave, before it develops into true love by the closing credits. He has a wonderful Errol Flynn-like quality, with his pencil moustache and his witty ways. For example, I adored the scene where Iris is asked to describe the missing Miss Froy. After launching into an extremely detailed description, leaving not a single hair unaccounted for, she ends by saying, "That's all I can remember." To which Gilbert dryly responds with, "Well, you can't have been paying attention." 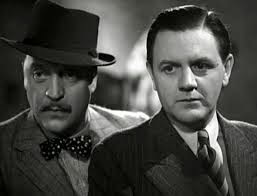 Of course, Charters and Coldicott are an absolute joy as two chums who eat, drink and breathe cricket. So much so that they would rather deny having ever met Miss Froy and assist in a possible kidnapping and murder plot, than missing a Test Match back home. One of my favourite lines was when Charters interrupts a telephone call at the busy hotel when he realises that the caller is from London. "No, you don't follow me sir - I'm enquiring about the Test Match in Manchester. Cricket, sir, cricket! What! You don't know! You can't be in England and not know the Test score!". 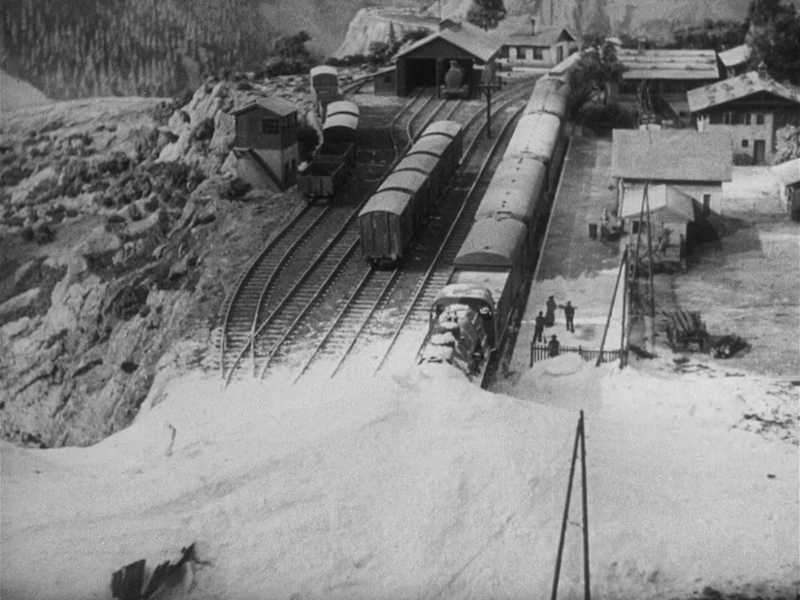 Hitchcock obviously had a penchant for trains as the majority of this film takes place on one, as did his other efforts, The 39 Steps, Strangers on a Train and North by Northwest. 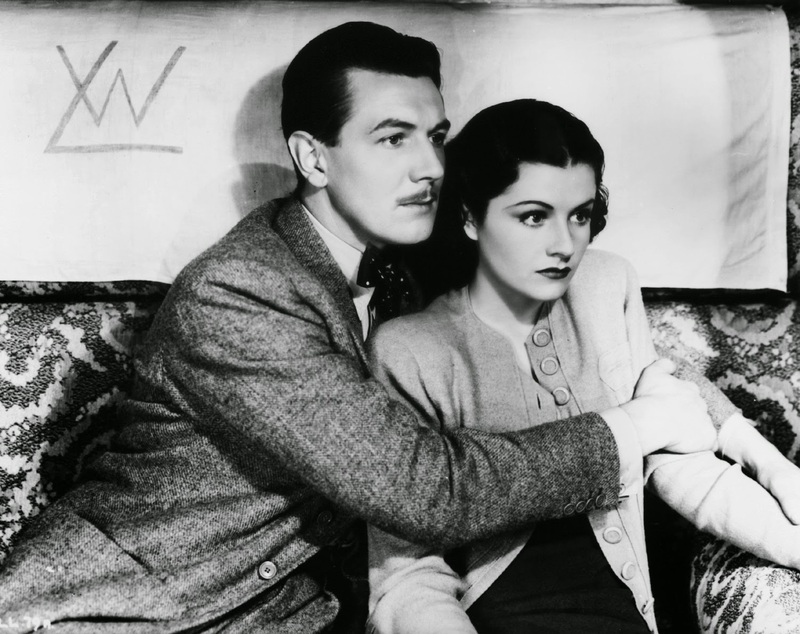 If you’ve not watched The Lady Vanishes before, I would implore you to do so. In truth, the story does amble along for the first twenty minutes or so as we meet all the characters, but fear not because the mystery and intrigue soon gathers pace. As does the train. Oh absolutely, Sir! I marvel at the outfits, I really do. Sometimes I have to watch a film twice - the first time I get distracted by the clothing and the second time I try to concentrate on the plot. What a great film, I go back to it time and again. It is one of my favourite Hitchcocks. It is, as you say, a perfect mix of thriller, humour and romance. 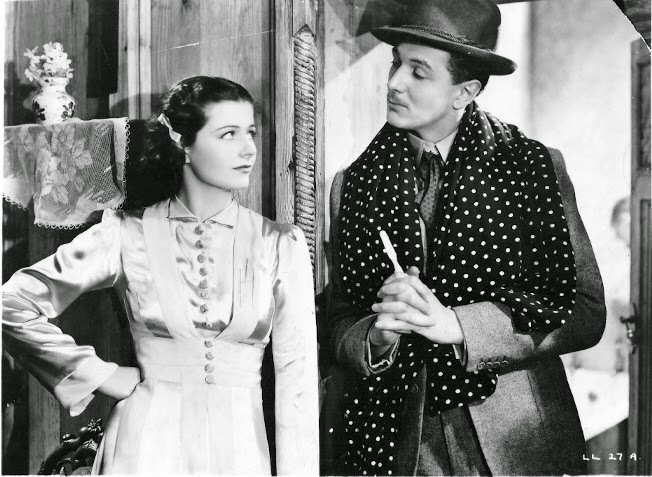 Margaret Lockwood has great style in it, but I'm still after an oatmeal tweed. 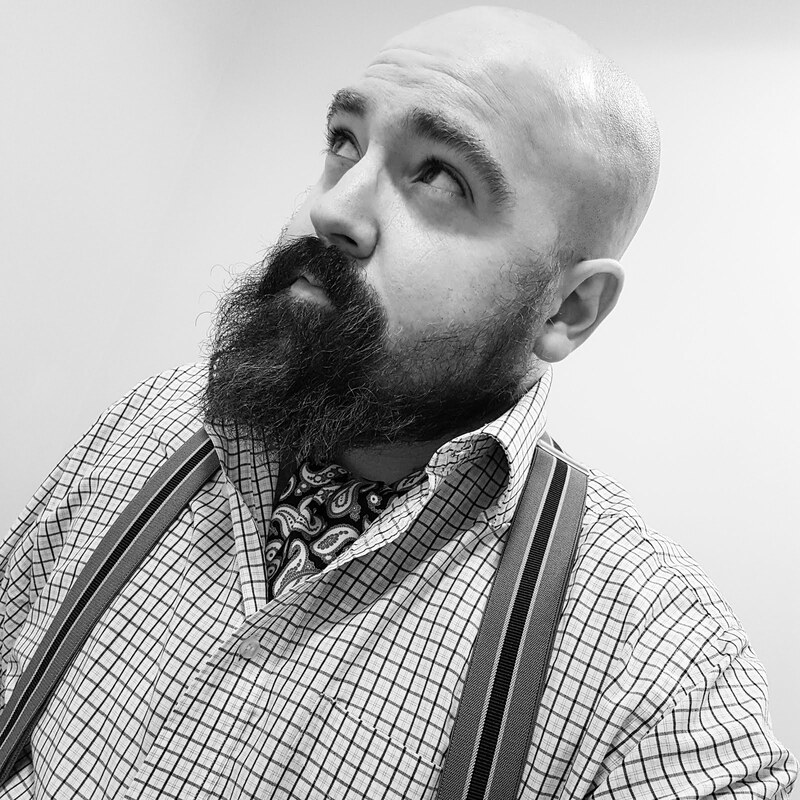 If you do manage to snaffle yourself some oatmeal tweed, just be extra careful when boarding a train. Especially if you're a spy. I rather fancy another viewing now. Not that I need much encouragement!